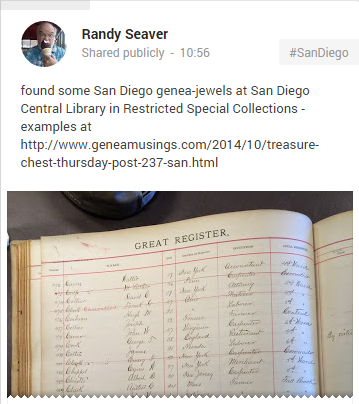 In a post on Google+ today Randy Seaver used the word Genea-Jewels. Randy suggests we look at this blog post to see examples of Genea-Jewels. This entry was posted in Words and tagged Geneajewels, Randy seaver by GeniAus. Bookmark the permalink.